Your local full service real estate agent that will save you 2% on commission when buying or selling your home in Maryland. Our agents are determined to help home buyers expertly navigate the Maryland real estate market. 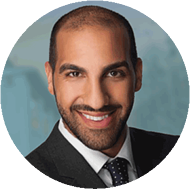 Since 2005, Khalil El Ghoul of Glass House Real Estate, has worked diligently to become one of the top agents in the nation, ranking in the top 1% of all producers in sales volume. Our local agents are dedicated to getting you the best real estate deal for Maryland homes in the industry. Since 2010, Glass House has rebated home buyers over $3,000,000 with the average rebate amounting to over $10,000. Our sellers have saved an average of $7,500 in listing commission. We serve the entire Maryland real estate market. Full service, professional negotiators in Maryland to help you buy or sell your home. We provide the largest real estate rebate in the industry but we are NOT discount agents. When buying your home in Maryland with Glass House you can expect a streamlined transaction. We only ask that you identify the homes you want to see and get pre-approved with a local lender. Once you find the homes you're interested in viewing, Glass House steps in and offers full service representation. We charge a 1.5% flat commission or $5,000, whichever is more. The remaining commission is rebated back to you. Interested in selling your Maryland home with Glass House? Contact us and one of our full-service agents will come to your home to give you an expert market analysis of your home's value and the current market. There is absolutely no obligation to work with us, just a friendly meeting in which you will get a ton of information about the market for your home.